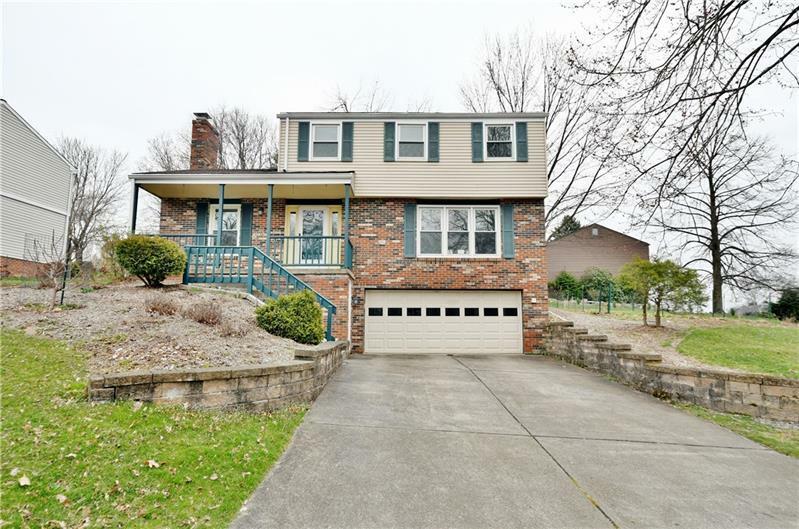 Wonderful neighborhood with quiet setting yet with quick access to I79/279 and all major shopping area, a very desirable location. Property has a level driveway, easy to get in and out regardless of weather condition. Welcoming and lovely front porch to greet your guest; sip a cup of coffee, tea or wine or reading a book, a serene spot to enjoy. 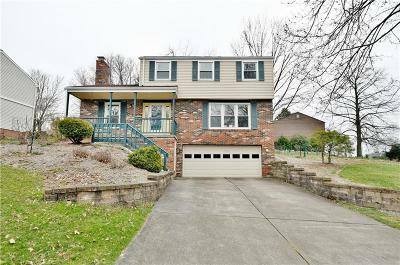 House has an open floor plan, updated neutral decor and much natural light through the updated windows, a pleasant home. Family room has an unique skylight, handsome fireplace and patio door leading to a covered porch. The covered back porch is an extra outdoor space for BBQ, activities and gatherings whether its rain or shine. Sizable yard offers a vegetable garden and a deck. Upstairs has three spacious bedrooms. Finished game room with storage is another space to expand. This lovely neighborhood offers sidewalk with a delightful environment for a walk or run. It also offers pool/swim team with a fee and neighborhood functions.